An unusual postcard in the use of so much black, which beautifully brings out the portrait of this man, his beard and clothing (black was expensive for printers due to the amount of ink consumed). Due to better economic prospects in Sri Lanka, during the late 19th and early 20th century, many Indians migrated to the island. 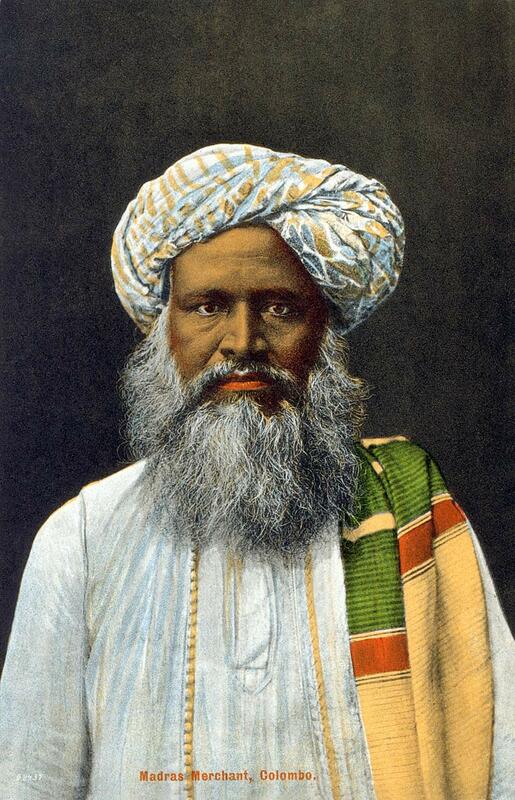 While most Indians worked on the tea plantations, often as coolies, others chose to become traders. Most of the immigrants were from Tamil Nadu, the capital of which is Chennai [Madras].